Dan Kennaley is the closest person I know to a Renaissance fly angler. He’s been fly fishing for more than 30 years, travelling regularly to such legendary destinations as Algonquin Park, the Catskills and Adirondacks. He fishes mostly for trout and bass, whether wading streams and rivers or paddling canoe, inflatable pontoon and float tube on lakes. He’s an accomplished fly tier who has designed some killer patterns, combining the old with the new. 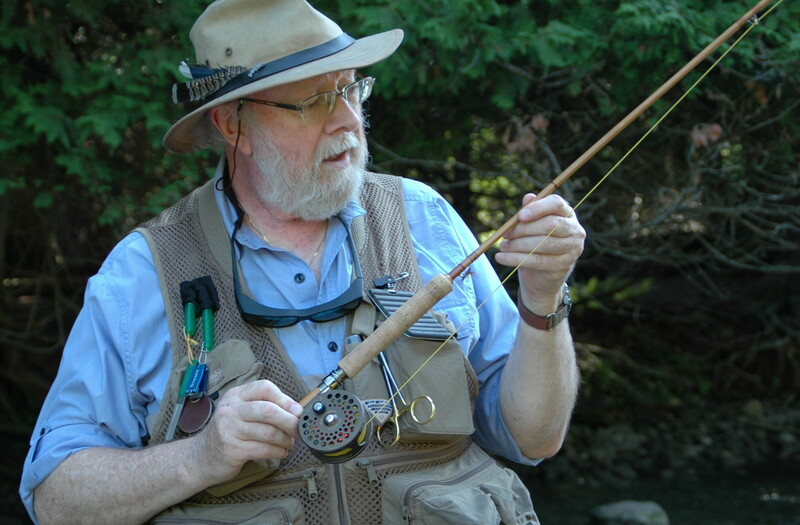 Dan’s a Greg Clark Award-winning fly fishing columnist for Ontario Out of Doors, as well as a good photographer. 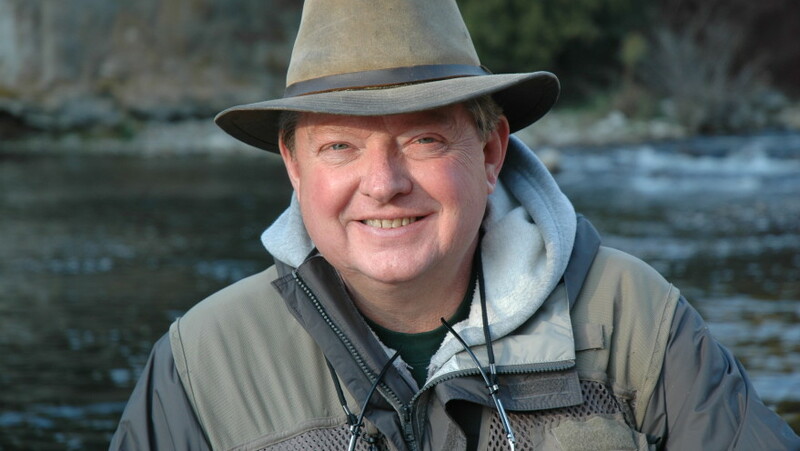 He’s an amateur fly fishing historian who made a significant discovery which was published in an august American fly angling journal after receiving thumbs up from no less a fishing historian than Paul Schullery, former director of the American Museum of Fly Fishing. Dan is widely read in the literature of fly fishing and has assembled an enviable library. And he appreciates artists who are true to nature, from Winslow Homer to Tom Thomson. Best of all, Dan’s a heck of a nice guy. I know of no one more generous when it comes to sharing what he has learned over the years. His enthusiasm is irrepressible, reminding me of the intense joy children muster before becoming world-weary teenaged cynics. As friend, mentor and tireless conversationalist, he’s the angler most responsible for my deep love of fly fishing. Dan has fished most of his life. He started fly fishing in 1984 when he received as a wedding gift a fibreglass fly rod custom-built from a Fenwick blank by a Conservation Authority colleague. His lovely wife, Jan, was not impressed, Dan confirmed recently. Nonetheless, Jan gave Dan a fly tying vise as a gift on their first Christmas as newlyweds. Dan purchased his first graphite rod a couple of years later and, as they say, the rest is fly angling history. In contrast to Dan, I came to fly fishing late. I was 55 years old and had returned to spin fishing five years earlier. For reasons I can’t fathom today, I abandoned fishing in my late teens, which remains one of my great regrets. Forsaking fishing didn’t stop me from devouring as much fly angling literature as I could find long before I returned to the recreational sport. I was introduced to fly fishing by Steve May, a professional guide, commercial fly tier and angling writer. I interviewed Steve for a story I was writing on fly fishing for the Waterloo Region Record, a newspaper I worked at for three decades. He took me to the Conestoga River, gave me a brief casting lesson, and let me loose on the unsuspecting river. I’ve been hooked ever since. Then I took a six-week introductory course on fly fishing at Conestoga College conducted by Ken Collins, a professional guide and certified casting instructor who established Grand River Troutfitters in Fergus, Ontario. But I’m closest to Dan in temperament and interests. I don’t tie flies, I haven’t travelled as widely, I’ve never used a pontoon or float tube and my knowledge of the history of the sport is not as comprehensive. However, my appreciation of the literature of fly angling is at least comparable. When we’re not on the water, we’re consumed in conversation about arcane fly angling minutiae that would send most anglers rushing to the nearest river. I first met Dan at KW Flyfishers, Waterloo Region’s longstanding fly angling club. He suggested we get together for an outing and, within the next couple of weeks, we were off. Dan introduced me to some of the area’s premium fly fishing water, including a couple of secret places which I now cherish as my true home water. He never bristled when I asked silly questions, often repeatedly. He gave me flies he knew had a good chance of guaranteeing success for a fledgling angler. And he never ridiculed something I did, however stupid it might be. I’m sure you’re hungry for an example. Early in my fly angling apprenticeship — which continues to this day — I joined Dan and fellow KW Flyfisher Jeff Thomason, himself no slouch when it comes to casting fur and feather, for a late spring outing on Whiteman’s Creek. The water was high, as one would expect for the time year, and I got a fly hung up on a low branch dangling invitingly on the other side of the wide, deep stream. I had been casting for only a few minutes and I was damned if I was going to lose the fly so soon in the game. I started wading gingerly across the stream, the cold water rising menacingly by the centimetre until it exceeded the top of my chest waders. My waders filled and I gasped for breath, succumbing to the cold water that encased my body from the tips of my wiggling toes to my tingling curly chest hairs. I could have drowned, but survived to face my humiliation. In the service of expediency, I’ll tell you that when Dan found me I was stone cold naked. My clothes were spread out on rocks drying in the sun, as was all the paraphernalia from my vest. I had read in the highly-recommended The Complete Idiot’s Guide to Fly Fishing that one of the greatest sins a fly fisherman can commit is allowing the hooks on his flies to rust. Unbeknownst to me, I had lost my car keys, which Jeff miraculously found on the bank some distance downstream. I’m sure Jeff and Dan shared a hearty chuckle at my expense — who wouldn’t — but neither belittled me, despite stupidity and scorn making for amorous bedfellows. 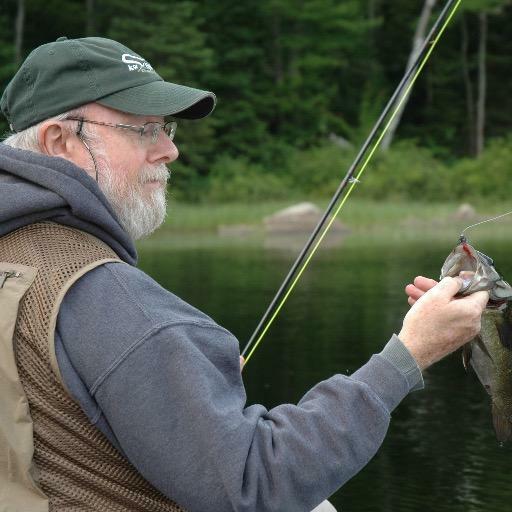 Fortunately for me, my Initiation by Cold Water didn’t dissuade Dan from inviting me to join him on other outings, including an annual visit to the family cottage in Muskoka, where we fish for bass from canoe on a small secluded lake that is the next thing to privately owned. All this is backstory to the day Dan and I headed up to one of the secret places — a slice of paradise in Southwestern Ontario second to none on our holy earth. It was a momentous day for me, and I wanted to share it with Dan. I had just acquired a 7-foot 9-inch, split-cane Sweetgrass rod, built by the legendary Glenn Brackett and the Booboys in Twin Bridges, Montana. It was dream-come-true time. I was as excited as when I was a 10-year-old heading off on another great adventure with my closest childhood friend, Billy Everett, to visit his aunt and uncle on a 400-acre marginal farm, sans electricity and indoor plumbing, outside of South River, close to the western edge of Algonquin Park. This was where I was introduced to speckled trout, caught in copious quantities (this was long before catch-and-release) from a small creek (which Billy’s uncle pronounced as ‘crick’) protected by dense boreal forest. The specks were caught on a 10-foot, reel-less bamboo pole with black braided line of equal length, baited with worms from the garden. The pole, which broke down into two pieces, cost a whopping $2 at the local hardware store. The specks were gutted, dusted in flour with salt and pepper and fried in bacon fat sizzling in a large cast-iron pan on top of a wood stove. They were delicious. Getting back to the Sweetgrass. We arrived at our destination about 5 pm. We hit the big pool, which we customarily ignore until dusk, so Dan could take a few photos of me catching my first trout on the sweetly singing Sweetgrass. It took three casts and I had a small rainbow. I passed the rod — complete with vintage Orvis CFO reel and Cortland five-weight, double-taper line — to Dan. A couple of casts later, he had a small bow. Dan headed upstream while I lingered at familiar spots where I expected to find combos of bows, browns and, most prized of all, wild specks. The Sweetgrass was lovely to behold against a backdrop of rushing headwater and scraggly conifers. It was a dream to cast, ranging from a few feet in tight to an effortlessly expansive 40 feet. I have Sage, Winston, Scott and Orvis graphite rods. It’s a good thing they cover angling situations for which the bamboo rod is inappropriate; otherwise I would forsake all of them for my Sweetgrass. I caught one eight-inch speck among the nine trout I caught over three hours. I handled it gently, as I wanted to get a quick photo of it in close proximity to my bamboo rod, reminiscent of illustrations found in vintage outdoor magazines. Just as I was getting the Pentax out of my vest pocket, the speck spit out the hook and dashed for protective stones on the shallow stream bed. I was disappointed until it dawned on me that the vanishing speck was meant to be. After all, catching one of nature’s most glorious creations is about living in the moment — the Eternal Now in the words of English visionary poet William Blake — when the evanescent flash of a speckled trout darts for home. In an earlier blog entry (see Sweetgrass Synchronicity) I had noted that acquiring the Sweetgrass was synchronistic (to use a word coined by Swiss psychologist Carl Jung). When I got home after fishing with Dan, I checked my emails before heading to bed, nightcap of malt whisky in hand, when my heart skipped a beat. 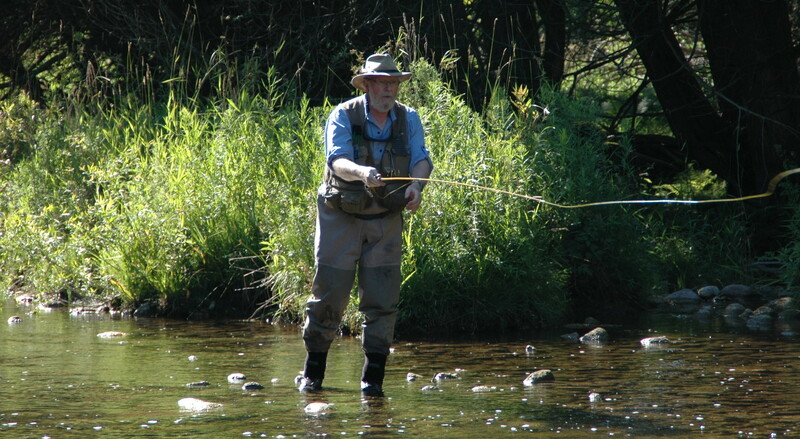 In the inbox was an email from Jerry Kustich, the eloquent writer who views fly fishing as a metaphor for life (see Around the Next Bend blog entry). He also co-founded Sweetgrass with Glenn Brackett and the other Booboys who resigned from Winston. The crew forwarded the link to your nicely done blog site and I very much enjoyed your piece about Sweetgrass and your new rod. Also I appreciated your kind words about my books. I am a strong believer in Jung’s synchronicity and am pleased you found your rod in that magical way. Bono of the popular musical group U2 would call it Cosmic Rhyme. Please give my best to Bob Cove if your paths cross. I was saddened to hear about Ian Colin James. I met him at the rod gathering in Fergus when his book was released. He got me excited about catching gar and offered to take me out, but we never had the opportunity to do it. It was always on my to do list, and I am very sad about his passing. The piece you wrote was a wonderful tribute. Like you I have retired and am exploring life beyond the borders of Montana. I now live in Maryland where I am closer to where I grew up in Buffalo. Hopefully I will continue to build some rods here for Sweetgrass and continue to write a few more fishing stories about life. I hope our paths cross Robert. Maybe I will make it to the next event in Fergus. Let me know when you catch a fish on the new rod. Not unexpectedly there is a postscript to the rod that keeps on giving. One of my favourite American artists is Russell Chatham — an angling writer and wild game gourmand as well as passionate fly fisherman. His evocative nature paintings adorn the covers of the works of his friend Jim Harrison, one of my favourite literary authors. Although I could never afford an original Chatham painting, I have yearned for many years to acquire a good quality print. 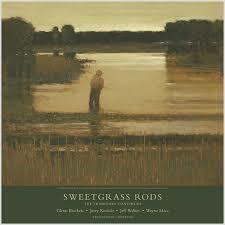 I need have looked no further than the Sweetgrass website. As I was pursuing its merchandise section one day I discovered to my intense pleasure that Sweetgrass commissioned a poster that features a Chatham picture, an oil completed in 1989 especially for master bamboo rod builder Tom Morgan. Evening Fishing is a lovely image of a fly angler viewed from his backside fishing at eventide. I purchased the poster, had it framed and mounted it adjacent to my favourite mission-style reading chair. Now when I’m sitting, far from the rushing water, reading a good honest book, with a dram of malt whisky close by, I can lift my head, look at Evening Fishing and allow my imagination to transport me to one of my cherished trout waters.